ISO 9001 14001 ohsas 18001 iso 17025 iso 27001 haccp iso 22000 sa 8000 awareness training, documentation training, implementation training and internal auditor training. ISO training in India UAE Dubai Abu Dhabi Saudi Arabia Qatar Oman Kuwait USA Canada Africa, Mumbai pune ahmedabad Bangalore Chennai hyderabad. ISO Training solutions from Lakshy Management Consultant Pvt. Ltd. is considered to be the best in terms of course delivery, content and effectiveness. Lakshy Management Consultant Pvt. Ltd. provides online and onsite training solutions to organizations across the world. We provide one of the most exhaustive training services in the field of management system standards. We provide online training through our online training portal www.iso-campus.com. Onsite trainings are provided at our training venue or training venue decided by the organizations. Our training programmes are designed in a way to bring the best talent out from your team. Our training programme are 100% customized to the specific needs of your organization. They are exhaustive yet delivered in the most simple methodology and are full of interactions that consist of class presentations, mock audits, assignments, role play, examinations etc. Our trainers are veterans in the respective fields and have handled more than 2,000 training programme as a team. Irrespective of whether your organization is at the starting phase of ISO implementation or you are midway or you are approaching certification audit or your system is well established and matured, our ISO training services will surely add value to the overall effectiveness of your ISO management system and help the management realize their goal of sustainable competitive advantage. ISO 9001 awareness training – documentation training – internal auditor training, ISO 14001 awareness training – documentation training – internal auditor training, OHSAS 18001 awareness training – documentation training – internal auditor training, ISO 27001 awareness training – documentation training – internal auditor training, HACCP ISO 22000 awareness training – documentation training – internal auditor training, ISO 27001 awareness training – documentation training – internal auditor training, SA 8000 awareness training – documentation training – internal auditor training, ISO 17025 NABL awareness training– documentation training – internal auditor training are some of the most popular onsite ISO training programme that we conduct across the world. 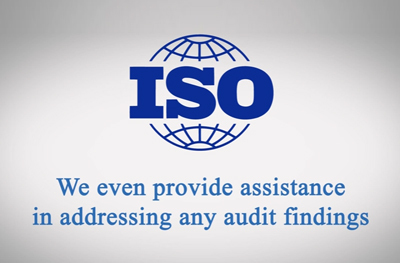 We provide ISO training in India, USA, UK, Saudi Arabia, UAE Dubai Abu dhabi, Oman, Africa. Kindly contact us at info@lakshy.com to get your customized ISO training programme developed for training your employees and enhance your ISO system performance.